Are you feeling tired and stressed out? Indulge in luxury and let the stresses and strains ebb away at the state-of-the-art spa at Hotel Ravine. If you are looking for spa resorts near Mumbai, the spa at Hotel Ravine is just the ideal weekend getaway for you. Surrounded by year-long greenery and fresh air, Ravine is the perfect setting for a luxurious and rejuvenating spa treatment. Aromatherapy: Aromatherapy involves an amazing combination of touch & smell. It involves the use of aromatic essential oils to enhance physical as well as mental well being. Ayurvedic Massage: A synchronized massage done by professional therapists through a combination of healing hands & a deep muscular massage. The therapists ensure relaxation & rejuvenation of the mind and body. Body Scrubs & Wraps: Gentle exfoliation using specially made scrubs, and a body wrap that gives you visibly cleaner, softer and younger skin. 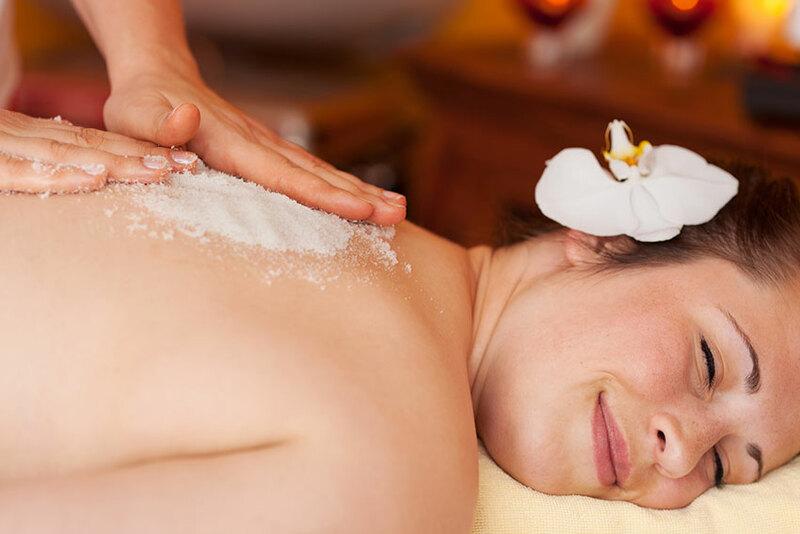 Body Scrubs & Massage: Combines the benefits of a body cleaning body scrub and a de-stressing body massage. Reflexology: This is an age old massage technique of applying pressure on the reflex points of the palms & feet. Deeply relaxing & therapeutic, this helps stimulate the nerve endings and releases blocked energy from the body. As we are a certified 3 Star hotel, we at Ravine ensure that you enjoy your spa weekends and feel rejuvenated after a super luxurious stay as well as a wonderfully relaxing spa experience. So pamper yourself and enjoy a leisurely spa experience set in year-long greenery, and return to work refreshed & and rejuvenated. If you're on the lookout for luxurious spa resorts near Pune, you will really enjoy a stay at Hotel Ravine. Nested in year-long greenery, Ravine is considered as one of the top Ayurvedic resorts near Pune, offering comfortable and luxurious rooms, exquisite service and a state-of-the-art spa called Serenity Spa. Our trained therapists offer blissfully comforting Ayurvedic massages that rejuvenate the mind and body. These synchronized massages are done by two therapists. Through a combination of healing hands and a deep muscular massage, the therapists take the body to a level of heightened relaxation. The duration for each massage ranges from 1 hour to 1 hour 45 minutes. Abhyanga Massage: This oil massage is beneficial for overall health and well-being. It increases circulation, calms the nerves, tones muscles, increases mental alertness, eliminates toxins, improves stamina, lubricates joints, and improves skin texture. Pizhichil: This is a combination of oil massage and heat therapy. It is a mild and synchronized massage. The massage tones and rejuvenates the skin, relieves anxiety and depression, regulates blood pressure, relieves body pain, nourishes muscles and nerve tissues, increases immunity, and is effective against rheumatic diseases. Shirodhara: This is a purifying and detoxification technique used to manage mental and physical exertion. It is a unique ancient therapy which involves pouring of oil on the forehead for a specific period and from a specific height. The treatment relaxes the mind and body, relives stress, stabilizes the nervous system, sharpens senses, improves concentration, replenishes skin, treats insomnia, and brings balance and harmony. 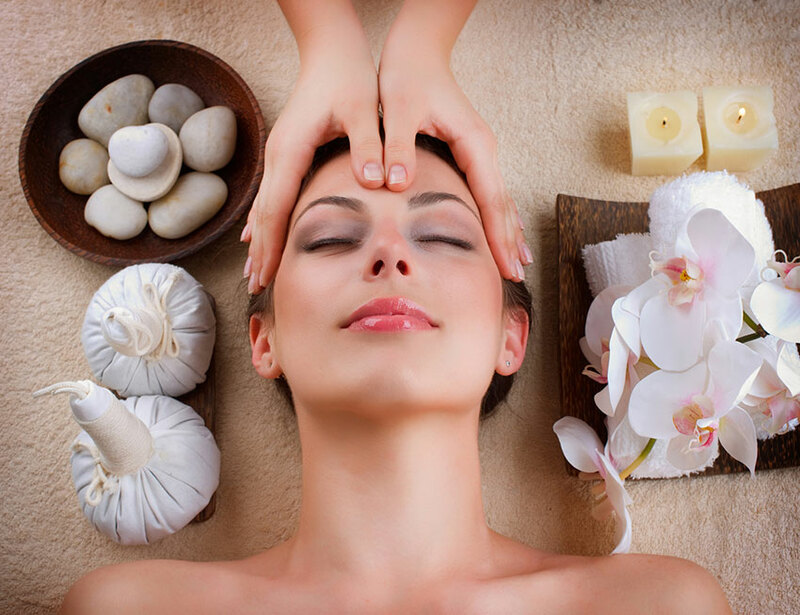 Herbal Poultice Massage: This involves a mix of ground herbs wrapped in a porous cloth, steamed and applied on the body in a gentle pressing, circular and rolling movement. It provides moist and nutrient-rich relaxation to the skin and muscles. The hot compress is beneficial for sore, stiff or pulled muscles and ligaments, arthritis, back pain, chronic pain, migraine and chronic stress and anxiety. Mind and Body De-stress: This de-stress massage uses effective relaxation techniques and soothing essential oils to relieve physical and mental stress. The nourishing oils soften the skin and relax the mind, restoring a harmonious balance. Try one or more of these massages and experience total relaxation at the Serenity Spa! Are you looking for a really relaxing experience? Hotel Ravine is one of the best spa hotels in Panchgani offering a serene and truly rejuvenating spa experience combined with beautiful surroundings. The Serenity Spa at Ravine offers aromatherapy massages that refresh and rejuvenate the mind and body. Aromatherapy massage is a holistic therapy that helps treat the mind and body. When essential oils are applied on the body during a massage, they enter the skin through the hair follicles and get absorbed into the blood stream and circulated around the body, making you feel relaxed and rejuvenated. Our trained therapists use a fantastic combination of smell & touch, using aromatic essential oils to enhance physical and mental well being. The duration of the massage is 1 hour. Aroma Massage: The massage therapist selects oils that have a relaxing, energizing, de-stressing and balancing affect. It is particularly suited for stress-related conditions. The massage has anti-aging effects, improves mood and general sense of well-being, improves blood and lymphatic circulation, strengthens the immune system and reduces pain. Swedish massage: This massage therapy is gentle and relaxing. Therapists use long strokes, kneading and circular movements on superficial layers of muscle using massage oil. The massage helps reduce muscle spasm, improves circulation and lymphatic drainage, relieves stress and anxiety, and induces a general sense of well being. Deep Tissue Massage: This massage is similar to a Swedish massage, but the therapist uses more pressure across the grain of the muscle. The therapist uses elbows, fingers, and ceramic, glass or wooden tools, for optimal penetration of muscles. The massage relieves pain, releases tension and stiffness in the muscles, tendons and ligaments, increases flexibility, and improves posture & mobility. Cream Massage: This massage uses creams that contain pure and natural herbal extracts to tone, nourish, and beautify the skin. The fragrance from the creams promotes relaxation during massage. Certain fragrances help relieve anxiety, stress, fatigue and insomnia. They keep the skin radiant and beautiful, and strengthen cells by increasing oxygen supply. Try an aromatherapy treatment at Serenity Spa and experience total relaxation and rejuvenation! Body scrubs and wraps are among the best skin rejuvenating therapies. A body scrub exfoliates the skin to remove the dead cells and promotes growth of new ones. It moisturizes the skin and makes it smooth, vibrant and silky. The process of scrubbing stimulates circulation and improves the skin tone. It has a relaxing effect on the body and an anti-aging effect on the skin. A body wrap draws toxins from the body and detoxifies the whole system. It tones the skin and promotes sweating. Some other benefits of body wraps include cellulite reduction and softer skin. Body wraps are also recommended for weight reduction. You can enjoy these relaxing and rejuvenating effects of body scrubs and wraps at the Ravine Hotel, Panchgani. It is one of the best spa resorts near Mumbai located just a four hour drive from the city. The Serenity spa at the Ravine hotel ensures gentle exfoliation of the skin with specially made scrubs that remove the dead cells, unblock the skin pores and draw out impurities. This pleasant 1-hour therapy finishes with a body wrap to give you a visibly cleaner, softer and younger skin. So, don't wait further. Pamper your body, and your spirit, with the benefits of body scrubs and wraps amidst the peaceful and tranquil surroundings of the beautiful Panchgani hills. You can choose a body scrub & a massage oil of your choice from our wide range. If you want to enjoy luxurious hotel accommodation while you relax and rejuvenate at a luxury spa hotel in Panchgani, Ravine is the place to be. We offer guests a serene and rejuvenating spa experience in beautiful surroundings. The body scrub & massage therapy at our Serenity Spa will leave your skin feeling smooth, soft and radiant. We only use natural ingredients & pure essential oils. The gentle exfoliation with our scrubs unblocks skin pores; draws out impurities and removes dead skin cells. The pleasant therapy combines the benefits of a cleaning body scrub and de-stressing massage. We have a wide range of body scrubs and massage oils to choose from. The combination of body scrubs and massage will leave your skin feeling soft and smooth. You will leave with a sense of being absolutely relaxed and thoroughly rejuvenated. The duration of the therapy is 1 hour and 30 minutes. Exfoliation: A full body scrub helps gets rid of toxins from the body and dead skin cells on the skin. It soothes and smoothes the skin, making you feel refreshed and rejuvenated. Glowing Skin: One of the biggest benefits to body scrubs is glowing, smoother and younger looking skin. The combination of scrubs and massage nourishes and hydrates the skin, and helps keep it healthy and beautiful. Relaxation: A body scrub session combined with massage feels very relaxing. It makes you feel refreshed and rejuvenated. Helps Improves Circulation: Body scrubs help improve circulation and the flow of body fluids. They make the skin firm and healthy. The increased circulation also has several other benefits for the body. Once you have tried this wonderful therapy you will surely want to come back for more! Facial therapy, aromatherapy, floral bath you must have heard about all of these. Simply sniffing the scent of fresh flowers reduces mental stress, lowers blood pressure and makes one feel free from depression. When this oil is added to a bath or a massage or when it is used as a scrub, the relaxation is greatly enhanced. The aromatherapy treatments offer both sedative and euphoric effects and are best at relaxing and soothing the mind and body. The spa therapies at the Ravine hotel, one of the best spa resorts in Mahabaleshwar, sharpen the senses and temper negative emotions like fear, anger and jealousy. They also work as an aphrodisiac and flush in a renewed sensuality in the lives of newly-wed as well as long-married couples. If you are looking for spa resorts near Pune to enjoy the incredible experience of these beauty treatments, look nowhere else but at the Ravine Hotel. It offers a one-hour Face Therapy and also the Serenity Signature beauty treatment that combines the goodness of body scrub, aroma therapy, massage, wrap and floral bath for two and a half hours. Combine this with a face therapy of 1 hour duration and you will emerge with a newly found beauty. So, make Panchgani the destination for your next vacation and go home looking more beautiful than ever! If you are living in a city like Mumbai or Pune, the chances are high that you suffer from back pain, neck pain, shoulder pain or let's say full body pains! That's the side effect of living in an overcrowded city. Just the thought of a body massage will send a soothing feeling across the spine through all the aching parts of your body. Now, get ready to spoil your body with a relaxing massage at a luxury hotel with spa - The Ravine Hotel in Panchgani. The spa therapies at this conveniently located resort include reflexology (Hand and Feet Massage) and Thai Foot Massage. You can also enjoy a Blissful Back therapy, which, as the name suggests, leaves you feeling blessed with a blissful back that has no sign of discomfort or pain. The 'Beautiful Back' therapy and the 'Head and Shoulder Massage' will relax every muscle in your back, neck and shoulders and make you feel lighter. I am sure this is exactly what your body needs. So, get away from the hustle and bustle of your home town and come to the Ravine Hotel to shower the gifts of serenity, calmness and relaxation on your troubled body. And don't forget to enjoy the breathtaking views of Nature's beauty at this hill station! Some of the special treatments offered at the spa at Hotel Ravine will make you feel that you have already gone to Heaven! Among the spa treatments that can provide immense health benefits and make you appear more vibrant and beautiful is the Fresh Strawberry Therapy with Facial. The benefits of strawberry for improving the skin tone and texture are well known. A single Fresh Strawberry Therapy can provide a remarkable glow on the skin. Anyone who has experienced the pleasure of Earth Stone Therapy knows the intense feeling of relaxation it provides. But, not many are aware of the long term, lasting benefits of Earth Stone Therapy. It is a unique massage technique that provides effective healing by using natural stones. The spa also offers a unique experience that it calls, Couple Connect. It last for 3 hours and allows couples to enjoy the ambience of a romantic massage room decorated with aroma candles and flowers while romantic instrumental music plays in the background. You can enjoy the benefits of Earth Stone Therapy, take a dip into the blissful joy of Fresh Strawberry Therapy, and enjoy many other wonderful treatments at the Ravine Hotel in Panchgani. The location is convenient; hardly 100 KM from Pune and 250 KM from Mumbai. Plan your spa weekends near Pune and Mumbai at this wonderful location and bask in the beauty of nature while enjoying the benefits of its incredible spa treatments. The Serenity Spa offers many different types of massages and treatments, from both West and East. Thai massage has many benefits for an individual. It uses yoga-like stretching and gentle pressure on the energy lines to relax the whole body till the deeper levels. The deep relaxation provided by the traditional Thai massage that includes a combination of Dry stretches for 30 minutes and Swedish massage for 60 minutes promotes a restorative night's sleep and allows the body to rejuvenate and heal itself. Lomi lomi massage is a spiritual technique that rejuvenates the body, mind and spirit by opening energy pathways and removing energy blockages in the body. The goal is to find harmony in every aspect of our lives. Balinese massage focuses on bringing deep relaxation and whole body wellness by using long gentle strokes, aromatherapy, reflexology and acupressure as a total package for soothing the body. There can not be any better place to enjoy all these immensely pleasurable and beneficial massages than the beautiful valleys and hills of Panchgani. The Ravine hotel located in Panchgani offers the best Balinese Massage, Lomi Lomi Massage and Thai Massage. It will be an experience you will yearn to get at every possible opportunity. So, what are you waiting for? Take your spa breaks near Mumbai at the Ravine hotel and gift your body the much deserved massage.